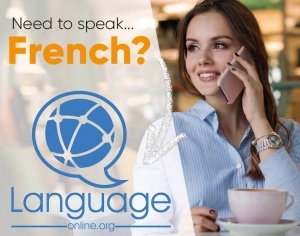 Salut, and welcome to our lesson about French possessive pronouns at Language Easy! What are the French possessive pronouns ? Qu’est-ce que les pronoms possessifs ? As for any pronoun, the context must make it clear whom and what we are talking about, else it will be impossible to understand. In the following examples, what are we talking about ? Je t’échange le mien contre le tien! I’ll trade mine for yours! Voici la soeur de Jade→Voici la sienne. Here is Jade´s sister→Here is hers. Voici sa soeur / Voici la soeur de celle-ci. French possessive pronouns vary in gender and in number. The choice of its gender and number corresponds to the gender and number of the object that is owned. In English, the choice of the pronoun only depends on the gender of who’s possessing (his, hers, theirs), and they don’t vary in number. A brother, a sister, two brothers, two sisters : any of these ones are theirs. Easy ! But it’s completely different (and more complex) in French. If you’re a native English speaker, chances are that it will drive you a bit crazy. Remember : for the agreement of French possessive pronouns, focus on the owned object ! Reminder : the grammatical person represents the relation between who is speaking and the grammatical subject of the sentence. third person : a third person (singular) or group (plural). As well as each grammatical person has its own personal pronouns and possessive adjectives, it also has its own corresponding possessive pronouns. Now that we have the right grammatical person, we still have to make the agreement in gender and number. Here are the three missing tables for feminine, singular and plural. If you remember our lesson about how to form the feminine and plural of French adjectives (you can read it again here), you’ll be able to derive these tables yourself from the first one, so you don’t actually have to learn them, as there is nothing irregular here. Quelle voiture ? – Ma voiture. Which car? – My car. Quelle voiture ? – La voiture mienne. Quelle voiture ? La voiture jaune. = La jaune. Quelle voiture ? La voiture mienne = La mienne. Which car? The car mine. = Mine. And we have our pronoun back ! Et voilà, we reached the end of our lesson about French possessive pronouns.